THE NAME " AFRICA" ( AFRIKA ). AFRICA ; - A typical name of a Roman General, full name : Publius Cornelius Scipio Aemilianus Africanus-Minor of the Romans, (185 to 129 B.C.) was the adopted grand son of Publius Cornelius Scipio Africanus (senior), who was a Roman Major (237 to 183 B.C.). When Hannibal of Carthage ( 247 to 183 B.C. ) crossed the Alps of Europe and invaded the Romans, in retaliation Scipio Aemilianus Africanus-Minor of the Romans invaded and destroyed Hannibal's Carthage in 146 B.C., 37-years after Hannibal's death. General Africanus then named Carthage state after his last name; "Africa" ( feminine of "Africanus" ). THERE WERE ORIGINAL NAMES TO THE BELOW MAP'S HIGHLIGHTED REDDISH AREA, BEFORE THE ROMAN EMPIRE PERIOD. Carthage ;- A city state once located in the present Tunisia territory became a Roman province with the name "Africa", and later that name was applied to the entire Nubian continent by the Romans as "Africa". A Nubian may be a Subject of the Romans or a subject of Scipio Africanus when claimed to be an African. "However, a Nubian is from Nubia. Since Dawn the Divinity "Nu", and counter part's "La" (Ra), "Kpa" (Khepera) & "Te" (Temeru) demonstrated their birthrights as Nubians. Part of Libya, Algeria, Tunisia, Morocco was known as "Nu-media" meaning (Central Nubia) as well as North-East Africa and East Africa was called Nubian Plains. In the Ghana's Ga-Dangmes, they address to themselves as "Nu-Bi" meaning child of "Nu", literally meaning as "Man's child", they also address to water as "Nu" connotation of "Nyu" (water). Prior to 15,000 to 12,000 years BCE. all divinities attributes to the historically known "NU", "LA" (RA), "KPA" (KHEPERA) & "TE" (TEM or TEMERU), all the four iconic divinities unifies as ONE-PRIME DIVINITY now known as "GOD". THE WORD " GOD "
THE WORD "GOD" ; - An English version word derived from the German word "Gott", the word "Gott" means to the Germans ;- The supreme divine creator of the universe. An Alien word to the prophets in the "Islam's Koran", the Christian's Bible", the "Jewish Torah " and certainly the Ancient Nubians who were the master mind of holy practices before all of the above . German speaking inhabitants, tribes or states of central Europe prior to 1871. Before European history, the ancient Nubians were using the name "NU" in adjective form and phonetically as ;- "Noomo", "Nyumo", Numo" and "Nuntso" as the name and the address to the Supreme Divine Creator of the universe. Since this modern civilization, learners with the title ;- Archeologist, Egyptologist, Anthropologist etc. humiliated and changed the Hieroglyphic's original translation of "NU-TEM, NU-TERU, TEM or NETERU to the English word ;- "God" or "gods". While the Ga-Dangmes of the present Ghana were speaking their Ancient Ancestors (Nubian) Languages as primogenitors of "NU", the Archeologists, Egyptologists and Anthropologists were digging their ancestors Holy Shrine Pyramid-Tombs. The digging result in discovering portions of the Ancients Nubian's " WORLD ORIGINAL TESTIMONIAL TRANSCRIPTS OF SACRED SCRIPTURES: THE WORLD CREATION AND CULTURE OF THE NUBIANS " written in what is now called Hieroglyphics. THE NAME " AMON " AND " AMEN ". AMEN and AMON ;- A typical Ancient Divinity "Nubian", who was once worshiped as the Redeemer of mankind and as the representative of the supreme divine creator of the universe ;- Numo, Nyumo or Noomo. Amon (Amen) name was and still being used after prayers by Catholics and Christians as ; Truly, So be it, or It is so, just to conclude and honor Amon or Amen for the worshipping to be spiritually confirmed. Amon is a synonym of Amen, both names are legacy names of the Ga-Adangbes of Ghana, e.g. ;- "Amon Kotey", "Amon Kete" and "Dei Amon" etc. from the "Klanna" clan of the Ga-Adangbe's La-Asafo ( La ) of Ghana. There are millions of Nubians on the Nubian continent still using the name Amon and Amem in whole or attached to other Nubian name without a choice, in essence as a Legacy, e.g. ; "Amon-kwah" ( Amonkwah ), "Amen-huda" ( Amenhuda ), "Amen-tepe" ( Amentepe ) and "Amen-on" as Annan Amenon etc. mainly west Africa territory names. THE WORD " EGYPT "
THE WORD " HIEROGLYPHIC "
HIEROGLYPHIC ;- A Greek word meaning ; sacred carving, priestly carving or holy carving. The Greek word "Hiero" means Sacred, holy or Priestly, and the Greek word "Glyph" means relief carving, and Glyptic means to engrave. Though the word Hieroglyphic is not a Nubian tongue, its meaning speaks for it self of what the Ancient Nubians were practicing, which was "Holy Practices". "The Greek did not write the Hieroglyphics, the Nubians wrote the Hieroglyphics". The same Hieroglyphic writings on the fishing canoes of the "La-Asafo" ( La ) of the Ga-Adangbes, Ghana. In realty the, Ga-Adangbes were NOT illiterate to their writing, reading and speaking of the hieroglyphics. " ONE CAN SPEAK WHAT HE WRITES AND READS ". While most of the western and European trained Ga-Adangbes couldn't read and write hieroglyphic, the only thing left for them about the Hieroglyphic is the Language part of it, which they were born with; the "Ga-Adangbe" Language. There are few None-Europeanized and None-Westernized Ga-Adangbes who still reads and writes the Hieroglyphic, they are mainly the Cultured Ga-Adangbe Elderly. THE NAME:- EUROPA : "EUROPA" a Nubian Princess of a Historical city-state on the eastern banks of the River Nile known as " Karnak ", later named the territories "Thebes" and "Luxor", all locations is on the Nubian continent now called Africa. Europa was captured, abducted or enslaved by the Greek "Zeus" from Karnak to Greek territory, where she later had children ; Rhadamathys, Minos, and Sarpedon for Zeus. Princess Europa had a brother "Prince Cadmus" who founded a city in the Karnak territory known as "Thebes", active from (1580 to 1085 B.C., 495- years regime ). It is strongly believe that Princess Europa's brother Prince Cadmus first introduced and taught the Greeks how to read and write the language lettering of the Hieroglyphic. Later the Greeks and the Romans derived and formed their alphabets from which prolonged to today Europeans and western Alphabets. Europa's enslavement occurred from the midst of historical Royal Holy cities in upper Egypt along the Nile river, specifically from Karnak, which is approximately 185-miles from the last Historical Nubian city; "Akhetaten" (Akatete)= A-Ka-Tete; A= plural, Ka = Body Soul, Tete = Spiritual name of "NU". Named after "Akhenaten" ( Aka-Nu-Te ). Akhenaten's original name was "Amenhotep the 4th", husband of "Nefertiti" and father of TutuAkhaten who was wise enough to changed his name to his original name "TutuAnkhama". Notwithstanding, the Greek changed the area named Akhetaten to Aten, they then duplicated the name "Aten" to "Athens", but this time on territories of the Greeks with the Nubian Akhenaten's Monotheistic doctrine which was introduced among the Greeks at their city-state Athens, and to their goddess by the name Atemia. However, uninformed and improperly informed learners, ignorantly summarized Greek histories absorbed from Nubian Original histories as a myth. In essence, when myth's curtain opens it reveals the true histories of the Nubians before the Greek version which could not go any further than myth. The Nubian history-stories narrated as Greek stories goes beyond "Myth", to the true full story. Since the invasion and the occupation of the Asiatic Hyksos in 17 B.C. These ancient territories of ; Karnak, Thebes, Luxor and Aten fell under the description "Phoenician", an influenced language spoken in territories occupied by foreigners. Language spoken was Semitic, include sub-family of Afro-Asiatic. This description Phoenician does not make Princess Europa and Prince Cadmus Asiatic or European-Caucasians, rather, they were Nubians and generation of Royal Dynasties of Osa, Asar, or Osei (Osiris), and of Essie, Ese or Asi (Isis), etc. "ISIS" ( ASASI-AFIA ) - ( ASASI-YAA ) NUBIAN DIVINITY. NUBIAN DIVINITY "ISIS" ( "Asasi-Afia", ESSIE, ASE or ASI ) ;- The name "Isis" is another Greek version name of the Nubian Divinity woman who was the original "Divinity of Fertility", she was a black woman. In the phonetic languages of the Nubians, the name "Isis" is known as "Asasi-Afia and Asasi-Yaa", sometimes pronounced as :- Essie, Ese, Esi, or Asi, by Nubians (Africans) since the tongues of their Ancestors to the tongues of their generations on the continent now called "Africa". 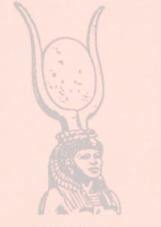 Her spiritual powers and her resourceful determinations which established the spiritual role of her creation of the resurrection of her brother and husband "Osa", "Osei", "Sa" or (Amen-Sa) "Mensah" which now has been corrupted to the Greek version as "Osiris". Asasi-Afia and her husband and a brother "Osa" earned the Honor of Spiritual Excellency, believed to be the closest being and the human representative symbol to the "SUPREME DIVINE CREATOR OF THE UNIVERSE" ;- "NYUMO". This ignited other Nations spiritually and "Asasi-Afia" (ISIS) and "Osa" was worshiped by the ROMAN and the GREEK Empires, which later influenced all Europe and its neighbors. The previous worshipping of ESSIE (ISIS) become a reflection to the "Black Madonna", or "Madonna and the Child's" worshipers, and still being worship under a new name by most religions. "Asasi-Afia", Essie, Ese, Asi (Isis) was the mother of "ADZA", "DZANI", "ADZEI", of the Ga-Adangbes. "DZATO" of the Housas. "DZE-kede" and "ADZA-O- tor" of the Anglo-Gas. "KYE", "GYE", "GYEI" of the Akans. "HERU", "HORUS", "JERU", "JESU" of the Latin, Roman, Arabic and the Greek. The names "Asasi" "Ese", "Asi" or "Essie" is an established ancient legacy female name of Nubian History which is thousands of years older than the Greeks, Romans, Latin and the Arabs, and can be mostly found in the western Africa territories of the Nubian continent.